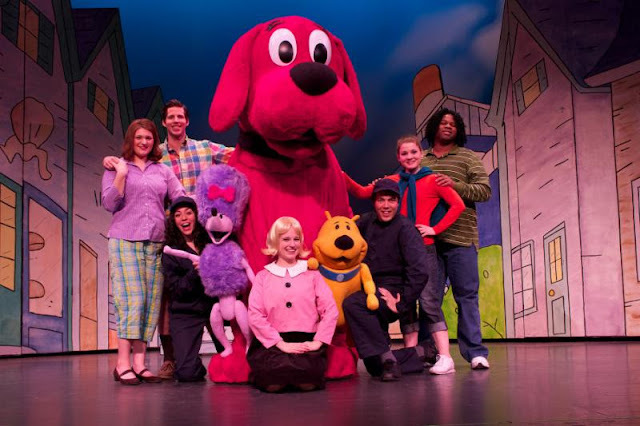 Brooklyn Center for the Performing Arts at Brooklyn College continues its 2015-16 season with Clifford the Big Red Dog LIVE! on Sunday, April 17, 2016 at 2pm. Tickets are $18 and can be purchased at BrooklynCenter.org or by calling the box office at 718-951-4500 (Tue-Sat, 1pm-6pm). In this musical adventure, Clifford, Emily Elizabeth and the whole gang from Birdwell Island learn about Clifford's BE BIG!™ Ideas - Share, Play Fair, Have Respect, Work Together, Be Responsible, Be Truthful, Be Kind, Help Others, Believe in Yourself, and Be A Good Friend - with memorable songs, creative choreography, and lots of laughter and audience interaction. Clifford's Big Ideas came out of the curriculum developed for the award-winning animated PBS KIDS series Clifford the Big Red Dog, based on the classic children's books by Norman Bridwell.